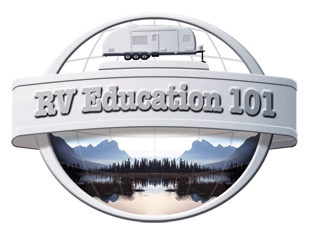 Recently we teamed up with National Interstate Insurance Company (NIIC) to provide RVers with educational material to make all of your RV experiences safe fun and stress free. 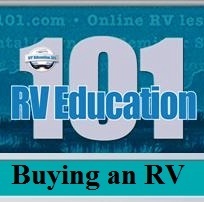 I get asked a lot of questions about what can be done to control rodents from getting in your RV when it’s in storage. I am by no means an expert on pest and rodent control, but after researching the subject I can offer a few ideas that other RVers use to keep rodents out of their RVers. You can be the judge on what works and what doesn’t. When RVs are stored for the winter it’s not uncommon for mice and squirrels to make their winter home in the RV. These animals are notorious for chewing through vehicle wiring, plastic and rubber lines, causing extensive damage to the RV. 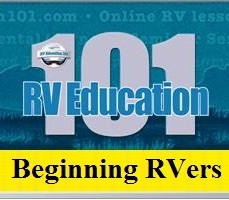 Possibly, the most important step is to try and prevent mice and other rodents from being able to access your RV. This can be difficult because they can enter the RV through some very small areas. 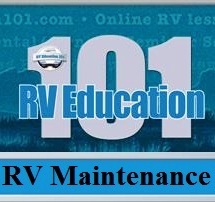 Start by inspecting the underside of your RV for any gaps or holes. Fill these gaps using silicone or expanding foam. A word of caution, if you never used expanding foam before you should experiment with it on something other than your RV first. When it dries it can expand a great deal more than you expect. Next, open drawers and cabinet doors inside your RV. Look in all of the corners and crevices, especially where plumbing and wiring enter the RV. If you can see any daylight mice can get in. Fill these areas with silicone or foam. Remove all food from the RV when it’s being stored and thoroughly clean the RV to remove any remnants of food that might attract mice and other rodents. 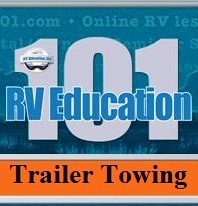 If at all possible try to park or store your RV on a solid surface like pavement or concrete. Try to avoid grass, fields or wooded areas. If it’s a motorized RV start it every week to run any squirrels or mice off that may be making the engine compartment into a home for the winter. This is where a lot of chewing damage occurs. If you don’t mind the smell of mothballs scatter them throughout areas of the RV. I have been told that mothballs will work for a while but eventually rodents will get used to the smell and it will no longer deter them. Other people say the alternative to mothballs is dryer sheets, like Bounce. I have talked to people who swear they work and the smell is much more pleasant. The problem with dryer sheets is once they dry out they’re not really effective. If you are close to where your RV is being stored you may want to use conventional mouse traps and check for mice every few days. The only problem with traps is that the bait in the trap will actually attract mice. I don't recommend any type of poison. It can take several days for the poison to work and the mice will usually die somewhere that you can't find them. If this happens you may never get rid of the smell. If you do use poison make sure pets can’t get to the areas where you put it. I have talked to some RVers who suggest you spray some type of insect spray (that contains mint oils) around the tires to discourage mice. The only problem I see with this is you would need to do it every few days if the RV is stored outside. 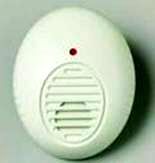 There are numerous ultrasonic pest controllers on the market. Some even offer money back guarantees. Again, I have talked to some people who swear by them and others who insist they don’t work. I have never tried this method. After a great deal of research on this topic I have come to the conclusion that the only way to really keep rodents away is to get rid of the rodent’s altogether. Continue to set traps for mice until they are gone and in the case of squirrels it may be necessary to trap and relocate them, if there is no other method available to get rid of them. 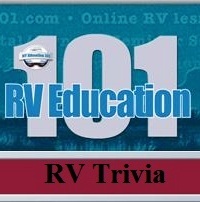 Question: Have you ever had a rodent problem with your personal RV, and if so what did you do? Mark Says: We live on an acre and a half, out in the country, and field mice are always a problem. For starters we clean the RV really well before we store it so there is no food to attract rodents. I sealed every small opening I could find, with silicone caulk and spray foam, on the last two RV’s we owned. When we had our Class C it was stored outside and I would use mouse traps when it was in storage. Fortunately I am close enough to be able to check them on a regular basis. I used to start the engine weekly, just in case there was a squirrel making a home in the engine compartment. Since we built our garage to store the new motorhome in we haven’t had any rodent problems. Knock on wood! Question: Somebody told me to use steel wool to plug any small holes where mice could get in the RV because mice won’t try to chew through it. Have you heard of this before? Mark Says: No but it makes sense to me. Mark, I enjoyed your article on rodent control, but have to take exception to your comment about dryer sheets not being effective long term. We've used them in our camper, at our cottage, and in our snowmobiles, and without exception, they have kept rodents away. An excellent example: several years ago, while out snowmobiling way out in the woods, I suddenly had smoke start pouring out from under the cowl. Long story short: we discovered that mice just love chewing on the wires. Ever since then, when putting them up for the season, we put several dryer sheets around the engine area, and never since then have we had a problem. We also use them at our cottage, and again, since we started using them, have never had a problem when we use them. Our camper is fairly new, and haven't had any problems there (yet - knock on wood), but wouldn't hesitate to do so. We always use a generic brand, and the strong smell is what we believe keeps them away. I would NEVER use mothballs, as their smell never goes away, (and are so toxic) and who cares if the snowmobiles or cottage smells laundry fresh! Even as we're opening up the cottage for the summer, or getting the snowmobiles out for the winter we still have no evidence of rodent activity, even after all those months of inactivity. We keep our snowmobiles covered with a tarp on a trailer on our property, so it isn't like rodents wouldn't have access to them.